Your order was sent out on June 2nd. Hopefully you have received it by now. 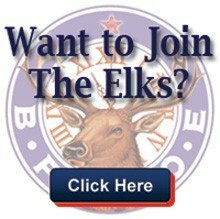 Thank you for promoting the Major Project at your Lodge! We received an order for 2018 and 2019 Certificates of Initiation on August 14, 2018 and processed it on August 15th and mailed out. Is this the order you are referring to? We would like to order more purple pigs, running out with all the new Members coming in. Please advise how we order them. Hanford Lodge #1259. We will send a case out to you next week! Hi Lonnie, We will send s case out to you tomorrow! I don’t think that our lodge has ordered more Purple Pigs lately and we are desperately in need of them. Can you please let me know if you have received a request recently. And if not, please send us more. We are sending a case out tomorrow. We will send those out this week!